Abstracts can be accessed either by clicking on links in the above PDF. Authors wishing to upload corrected abstracts may do so until 15 March, and we will endeavour to get these corrected abstracts into the programme. Posters – should be no larger than A0 in portrait orientation, i.e. 841 mm W x 1189 H.
Local poster printing services are available, for example http://www.oxford-print-centre.co.uk/ is nearby, their charge for printing an A0 poster is UK£40. Location of Print Centre is shown on this map. Oral presentations: a meeting laptop running Windows 7 will be available, capable of showing slides in Powerpoint and PDF formats. 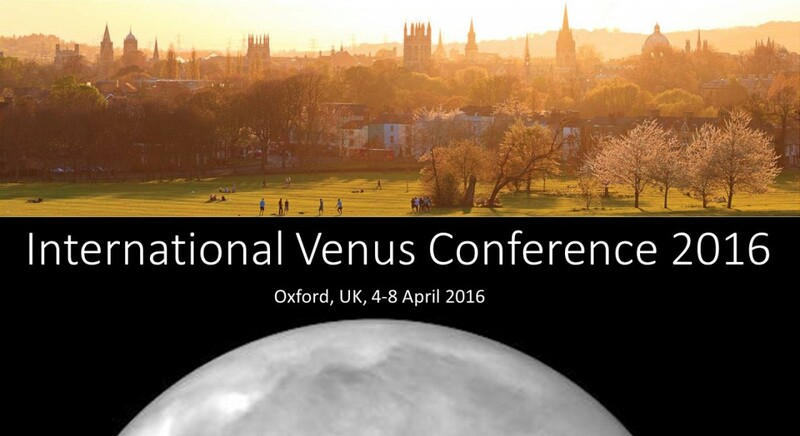 Talks may be provided on a USB stick or e-mailed to info@venus2016.uk. Presenters can also present slides from their own laptop if equipped with a VGA output.